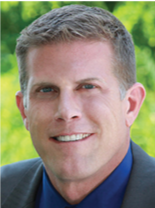 Tom Petersen – has been in Internet and ground marketing in both the legal and health care industry since 1995. He is the founder of Recovery Marketing Group, which provides program development, staffing, facility development and marketing consultation to addiction treatment providers. From 2006 to 2010, Tom was the Executive Director of SouthCoast Recovery, a major substance abuse treatment center in Orange County, California growing their capacity and revenue 500%. In 2008, he bought SoberRecovery.com improving traffic 10 fold and expanding the sites to the #1 directory of treatment centers. In 2011, Tom sold SoberRecovery.com. Tom is a licensed attorney with many major courtroom victories, including The City of Omaha v. John Haltom. Tom defended his client at several jury trials, winning 17 of 18 counts. For this work, Tom was featured on CourtTV and gain national exposure with his hard-fought victories. Expert Areas: Marketing Strategy, Development, Compliance, Natural Search, Link Building, Cross-Platform Development, Metrics Analysis & Adjustment Implementation and User Experience.